The Mental Militia asks point blank: Where in the Constitution for the united States of America, or in any State Constitution, does government claim any legitimate authority to own a citizen’s body? That authority does not exist, and everyone knows it. Or do they? Perhaps statists and tyrants who believe in government’s “Divine Right” to legislate and enforce un-Constitutional laws have so blinded themselves with fedgov “Govlish” and statist memes that they do not even stop to think about the fact that no government in our country has any authority to own its citizens, neither their bodies nor their minds. A government which would assert control over one’s body is asserting an ownership. No man-made government may rightfully assume that perversion of authority. The individual is a Naturally created soul and as such it is not subject to any man-made government, unless by informed consent, one wills it. In a powerful move toward restoring sanity in America, Law Enforcement Against Prohibition is on the cutting edge of “drug war” enlighenment. The Mental Militia has long advocated for LEAP and we are proud to feature LEAP in our Allied Camps section of this site. 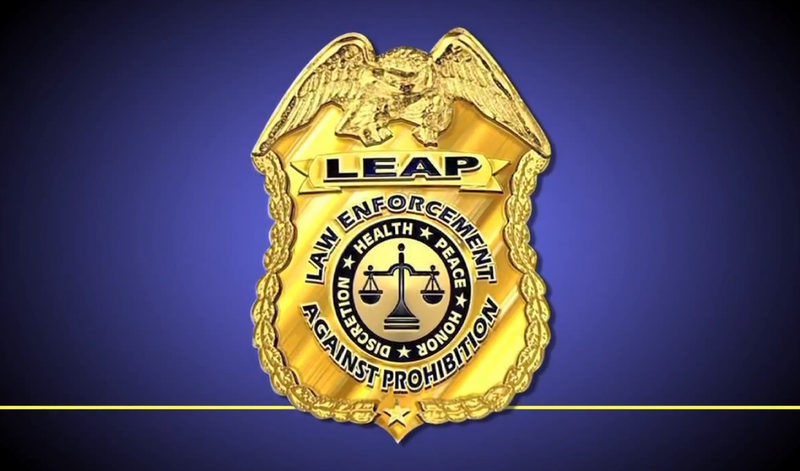 LEAP is active across the nation. Here are three (of many) samples of their backing of intelligent legal moves in three States. See much more at the LEAP website linked above. Many police and Sheriff Department members have come to realize that the so-called “war on drugs” is much more damaging than drug use, especially when focused on marijuana and the psychedelics. Here is a video by a very rational former Lt. Commander on a police force who witnessed the drug war come home to her family in a very needless and tragic way. Note from Elias Alias, editor: It is no secret that our modern-day federal government is operating wildly outside its limitations imposed in the Constitution which created it. Whether it’s BLM, EPA, DOJ, State Department, or any of the “alphabet agencies such as ATF and DEA and etc., total disregard for the Bill of Rights and for Article 1, Section 8 of the Constitution is rampant. The very idea that any level of American governance can presume to assert control over one’s body implies the government’s assertion of ownership of one’s body. Either the government owns your body, or you do. Whenever in history a government claimed to own one’s body, history views that government as a tyrannical slave-master. That any government professes to own its citizens’ bodies flies in the face of freedom, is immoral for any government, and is indisputably a degree of the imposition of slavery. To tell one what one can or cannot put into one’s body is not the place of government, period. Self-ownership is the opposite of slavery. That is one consideration. Another consideration regarding the so-called war on drugs is simple logic. The logic is contained in several undisputed facts. Before any so-called “war on drugs”, there was no drug problem in this country. By creating laws against use of marijuana the government created a vast and ever-growing demand for the plant. That demand, plus the increased risk in providing marijuana to fill that demand, enhanced profitability for the underworld and created new levels of organized crime. It also expanded “law enforcement” while also militarizing our police, and, worse yet, the so-called “War on Drugs” was a windfall for the CIA’s covert smuggling operations. By decriminalizing marijuana the market value of the plant would disappear for the most part overnight, taking with it the insane violence on the Mexican border. The cartels would not try to smuggle drugs which had relatively small market value; decriminalizing would end the cartel violence associated with drug smuggling and end much corruption in our law enforcement and Intelligence communities. The dark underbelly of the CIA which oversees international production of, transportation of, and laundering of the illegal drug business would be reduced by several billion dollars annually, putting an end to much CIA mischief. Overcrowding in our prison system would be greatly reduced by eliminating the drug war, thusly saving billions of tax dollars while allowing our police to focus on criminals whose crimes created victims. The Mental Militia encourages all readers to take some time to explore LEAP’s website. Reflect for a moment: What is the underlying principle of the spirit of the Declaration of Independence? What is carried in the meaning of the term Thomas Jefferson penned in that document — “Unalienable Rights” rendered by “Nature or Nature’s God”? What is the underlying spirit of the Bill of Rights? Should every American have the full right to be the sole owner of one’s body? Do you own your body, or does the government own your body?